It’s a cold, hard fact that we live in uncertain times and things don’t seem to be getting any better. 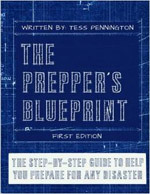 For years I have urged you all to get preparations together for short and long-term situations, and all the while we continue sliding down the slippery slope of disaster. We need only to look at the evening news to know that something isn’t right. Each night it seems we hear about another mass shooting, the latest riot, information censorship, and threats of impending war. I would be lying to you if I said I felt safe. But I will repeat what I’ve always told you, we must keep going and we must get prepared for whatever corner we turn. And if this is what our current state is, we must prepare accordingly. 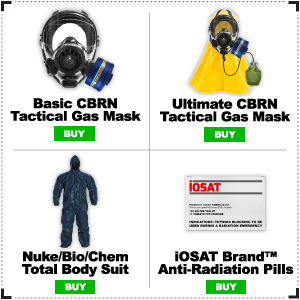 The folks at Top Tier Gear believe in preparing for the absolute worst-case scenarios and have been stocking items to get preppers ready for nuclear and biological threats, active shooters, and off-grid scenarios. Ed Thomas, owner of Top Tier Gear said over the last several months, they have seen a drastic increase in tactical body armor sales due to the mass casualties occurring. Their products are either assembled and manufacured in the great U.S. of A and are the best quality around. With all the unpredictability going on in public places, these items would come in handy and save lives!